Trends play a major role in the wedding industry, so it only makes sense for professionals to stay up-to-date with what styles are arriving on the scene and what’s heading out in today’s nuptials, as well as what’s sticking around for another year. 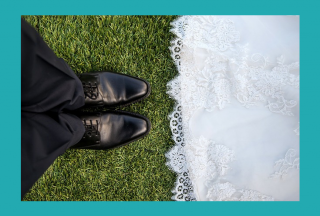 According to The Knot, close to a quarter of couples are choosing to tie the knot abroad and the destination market has established its own set of trends. 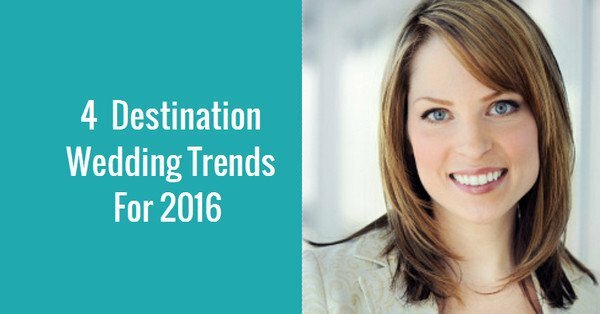 Our 2016 Destination Wedding Trend Report covers these trends in depth, but let’s take a look at some of the major themes we’re seeing. Our consumer base shows that destination weddings average a total of 28 guests, in addition to the happy couple. 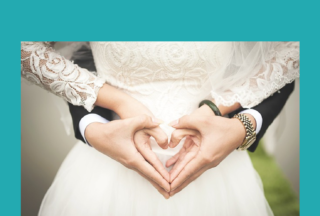 While the to-be-weds typically spend an average of seven nights in their destination, the guests stay approximately four nights to extend their experience beyond the Big Day itself. In addition to creating a more intimate atmosphere, the shorter guest list also saves newlyweds both time and money – in fact, The Knot reports that the average at-home fête prices out at over $32,000 whereas the average cost for our customers has remained under $10,000 for over a decade. While the inclusion of children is a hot topic for at-home weddings, destination celebrations are all about catering to multi-generational celebrations as it gives guests a chance to double their experience as a family vacation. All-inclusive resorts are increasingly incorporating babysitting services and kid-friendly activities like game rooms and teen lounges to keep the young ones occupied, allowing couples to have an adults-only ceremony if they prefer. You could say that beach weddings are a forever favorite as they’ll never go out of fashion. Mexico, the Dominican Republic and Jamaica top the list of popular destinations and are most frequented in late spring and early summer, whereas Costa Rica is popular in January (to escape the winter!) and Aruba is big in the fall, as these are the best seasons for local weather. However, destination celebrations aren’t simply just in tropical locales – Iceland, Canada, and Italy are emerging as destinations for the couple that prefers to take the road less traveled. Technology doesn’t just play a part in local celebrations – if anything, they make destination wedding planning all the simpler! For planning purposes, couples are embracing apps like Pinterest and WeddingWire to stay organized. As for the final destination, programs like Viber and WhatsApp are great for keeping in touch with guests over WiFi to avoid those pesky data charges. WedPics is also a useful tool for photo collaboration so everyone can stay tuned in to the celebration. For those who couldn’t make the trip, there are also plenty of options for live-streaming the big moment so that nobody has to miss out on the ‘I do’s. Trends may come and go, but for a wedding professional, staying on top of the market is essential for your business. For more in-depth details on this year’s trends, tune into our annual trend report for further information. What trends are you seeing in destination weddings? 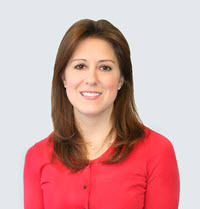 Rebecca Hochreiter is the Vice President of Marketing & Customer Engagement at DestinationWeddings.com, the world’s leading destination wedding and romantic travel planning company. DestinationWeddings.com has worked with nearly 25,000 couples and half a million guests to plan dream destination weddings. DestinationWeddings.com is one of the award-winning brands in the Celebration Travel Group collection.